While NBC has been adrift of late—spending most of its time hanging out with old friends like Michael J. Fox and Sean Hayes and Cockroach, even though it knows they’re just holding them back—it might now be getting some help from its older, wiser, more culturally sustainable father figure. 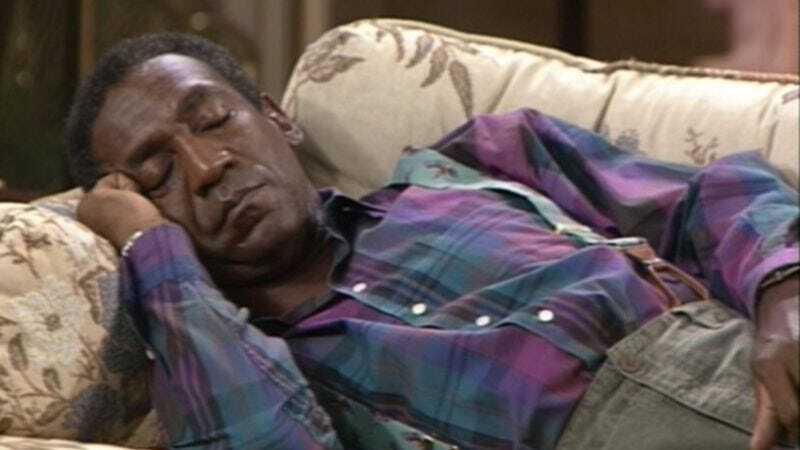 Deadline reports that the network has made a deal to develop a new family sitcom starring Bill Cosby, one that would return the comedian to the network he helped build, and the network to the belief that it’s still the 1980s and everything is fine. It’s so warm down here, like a festively colored sweater. It was reported back in November that Cosby had reteamed with his Cosby Show producer Tom Werner for another series where Cosby would play the patriarch to a loving family, dispensing wisdom, jazz, and unhealthy sandwiches to a large, multigenerational brood. Having convinced NBC to join them (likely by calling the network and saying, “Hi, this is Bill Cos—”), Cosby and Werner are now said to be meeting with writers to help them flesh out the show that will once again “channel his take on marriage and parenting,” which are those things that get in the way of eating whatever you want. Still, sometimes they help you stage elaborate pranks, so that’s nice.